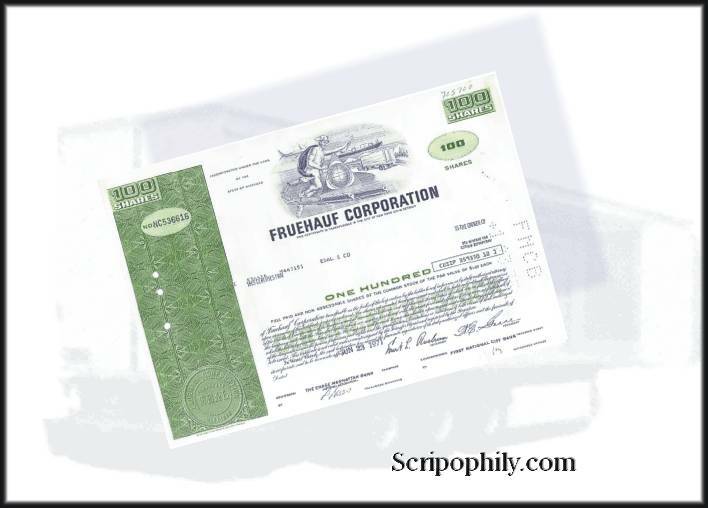 Beautifully engraved Certificate from the Fruehauf Corporation Stock issued from 1968 - 1975. 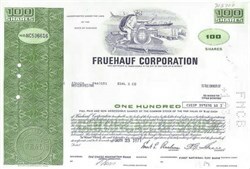 This historic document was printed by the Security Columbian Banknote Company and has an ornate block border with a vignette of Mecury with a plane, train, ship and truck. This item has the printed signatures of the company's officers and is over 26 years old.